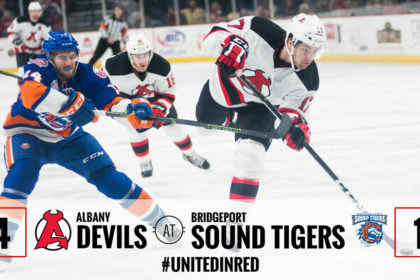 BRIDGEPORT, CT – With a strong first period, the Albany Devils were able to defeat the Bridgeport Sound Tigers, 4-1, Saturday at Webster Bank Arena. 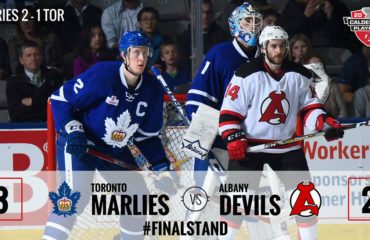 The Devils improve their record to 34-25-1-1. 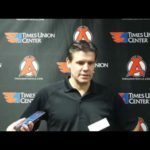 The Sound Tigers move their record to 36-21-2-1. 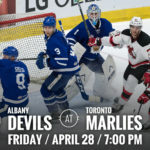 John Quenneville got the Devils on the board first just 34 seconds into the first period on a power play tally over the glove hand of Bridgeport netminder Jaroslav Halak. Jacob MacDonald and Carter Camper were credited the two assists. Bracken Kearns answered back at 10:33 with a power play goal from a shot down low to tie the game at one. Ryan Pulock and Devon Toews earned the assists on the play. Petr Straka netted the Devils second goal at 16:37 of the first after walking into the zone and throwing one on net. Josh Jacobs picked up the lone assist. 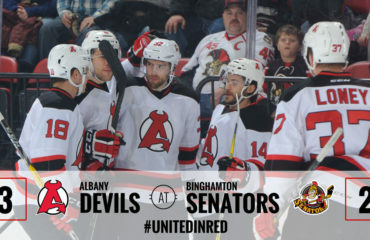 Greg Wolfe furthered the Devils lead to 3-1 at 17:48 of the period off a backhanded shot off a rebound from a Ryan Kujawinski shot. Rod Pelley picked up the second assist. 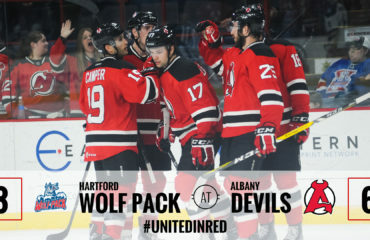 After a scoreless second period, Wolfe was able to break out of the zone and poke the puck ahead to Brian Gibbons who had a breakaway goal at 15:57 of the third period to solidify the Devils 4-1 victory. 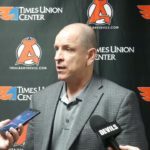 Eamon McAdam replaced Halak at the beginning of the second period for the remainder of the game. 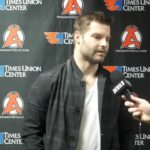 McAdam faced 14 shots, stopping 13 of them. Halak turned aside 4 of the 7 shots he faced and moves his record to 15-5-3. 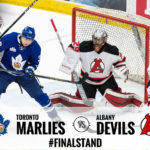 Devils goalie Mackenzie Blackwood stopped 25 of 26 shots and improves his record to 13-10-2. 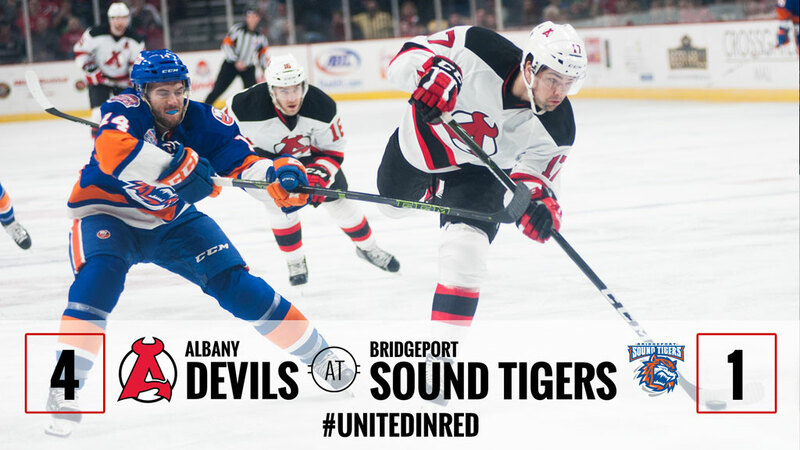 The Devils will return home to Times Union Center Friday to face off against the Springfield Thunderbirds at 7 pm.